Cherelle Flemming has worked as a professional singer and keyboard musician since her teens, and has taught in preschools and early childhood education, specialising in teaching music. After the birth of her two daughters, her pathway into authorship began with the creation of crazy bedtime stories. Cherelle lives in the beautiful Lake Macquarie region of NSW with her husband, two daughters and a mischievous pet rabbit. 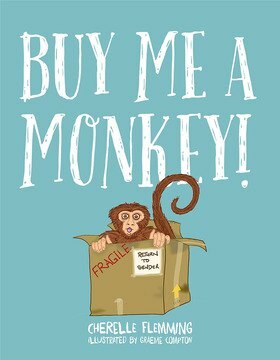 Buy Me a Monkey is her rst book.